Our regular readers know that Mexico is one of my favourite travel destinations and I have reported from Mexico frequently over the last 10 years. It is such a fascinating country, full of interesting history, beautiful architecture, gorgeous landscapes and warm and welcoming people. 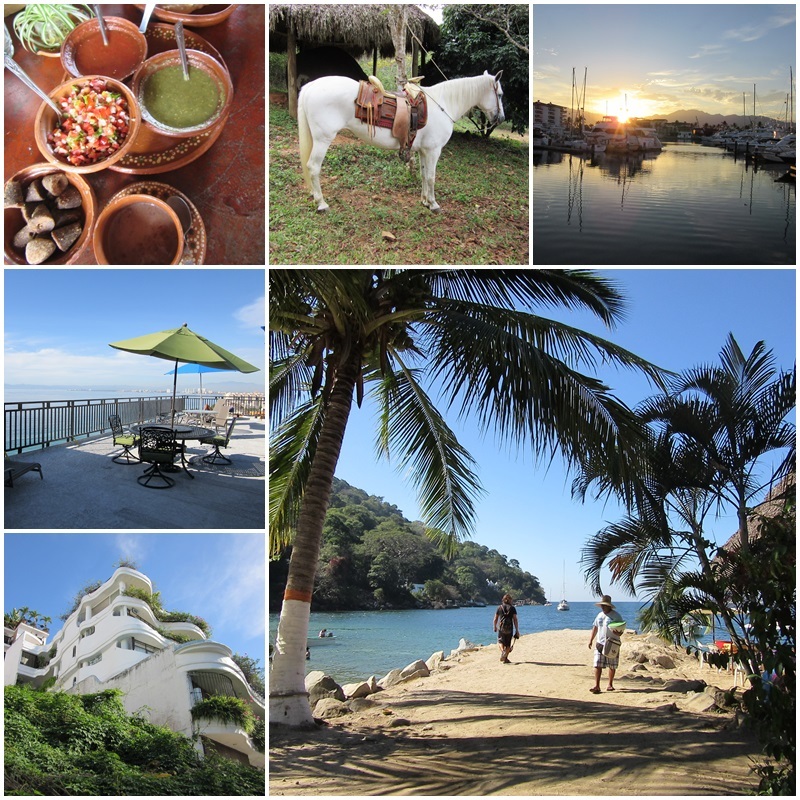 While I have mostly travelled to historic cities in the colonial heartland of Mexico, I decided to visit the coast this time and report from the beach paradise of Puerto Vallarta. Originally a small fishing village, Puerto Vallarta became the main port for the mining operations in the Sierra Madre Occidental, the coastal mountain range that borders Mexico’s Pacific coast. It also became a convenient port for smugglers trying to evade the tax collectors in San Blas, the main port at the time. The town was founded in 1859 by the Union en Cuale mining company and originally named Las Peñas de Guadalupe. During the 1860s the village grew and by 1885 it had about 800 residents. In 1918, Las Peñas was renamed after former State Governor Ignacio Vallarta who was very popular in the State of Jalisco. In 1921, the Union en Cuale mining company, owned then by an American, was expropriated and turned into a government-administered farming cooperative. Airplane service arrived in 1932 and the first advertisement for Puerto Vallarta as a vacation destination appeared in 1942. By the 1950s, many American writers and artists had located here as an escape from the McCarthy regime in the United States. The so-called “Gringo Gulch” neighbourhood in the hills above downtown attests to the long-standing presence of Americans. The 1960s were finally when Puerto Vallarta truly arrived on the international tourism scene. In 1963, the movie “The Night of the Iguana” was filmed in Mismaloya, just south of the city, starring Richard Burton, Ava Gardner and Deborah Kerr. During the filming, Elizabeth Taylor, flew in to join her lover Richard Burton; both of these famous actors were married to other people at the time, an affair that attracted huge attention from the paparrazzi at the time. This kicked off huge international interest in Puerto Vallarta as a travel destination and many resorts started to be built in the 1960s and 1970s. The city’s transportation infrastructure improved as well and made Puerto Vallarta easily accessible for jet airplanes and ships. Mexico’s president at the time, Gustavo Díaz Ordaz, also took an active role in promoting Puerto Vallarta and from the mid 1970s onwards, international luxury hotels and resorts started to move in. Today, Puerto Vallarta is experiencing another construction boom as many Canadians and Americans are buying apartments there for part-time or full-time retirement. The cityscape today is starting to be dominated by glitzy highrise towers that are now home to many northern expatriates seeking a warm and peaceful getaway. The Bay of Banderas surrounds Puerto Vallarta and measures about 100 kilometers (62 miles) from north to south. It boasts splendid beaches, limitless water sports, great ocean fishing and even whale-watching. Many of the nearby towns and villages such as Punta de Mita, Bucerias, Nuevo Vallarta as well as Mismaloya and Boca de Tomatlan have become tourism destinations in their own right, all with their own flavour. In recent years, the hotel and restaurant scene in Puerto Vallarta has also reached international levels of excellence. Golf courses have sprung up and adventure travel activities such as ziplining and horse-back riding have flourished. And Puerto Vallarta’s famous Malecon ocean-front esplanade has been completely redesigned and now offers 12 city blocks of pedestrian-only strolling, countless restaurants and great people-watching. With its consistently warm temperatures (between about 29 and 33 degrees all year round), Puerto Vallarta makes for a perfect beach vacation. 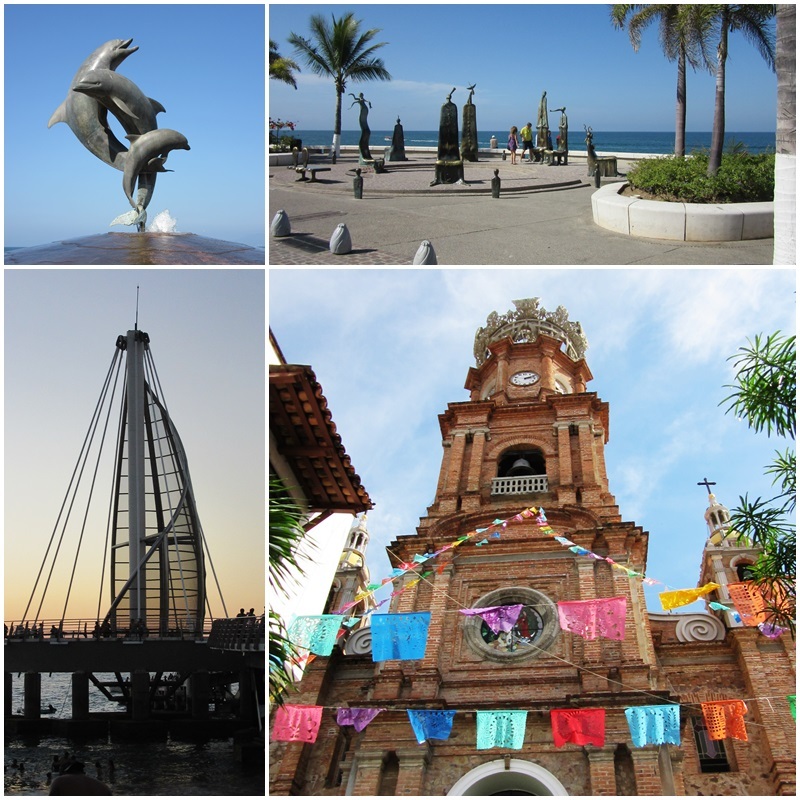 And as you will see from my adventures, Puerto Vallarta has a whole lot more to offer than just beautiful sandy beaches.